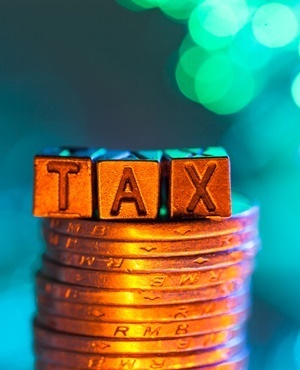 Budget 2019 will likely be more about seeking growth than seeking to inflict pain, according to Keith Engel, CEO of the SA Institute of Tax Professionals. Do not expect anything "exciting" in Budget 2019 from a tax point of view, he told Fin24, although he warned against "stealth" taxes. However, he added, national debt and SOEs were likely to remain red flags. "Budget 2019 won't make any wild announcements. The VAT increase was a shock last year, so this year I think the SA government would want to just hold its ground after raising taxes the last two years," said Engel. In his view, there was an "implicit promise" in Budget 2018 that, after the VAT increase, there would be a more "calm" approach. "Increasing taxes will actually harm the SA economy, because new taxes will hurt the very growth needed for long-term tax collection," said Engel. At the same time, he suggested watching out for tax increases "by stealth" in Budget 2019. This could, for instance, be where adjustments are not fully in line with inflation. Most notably, marginal personal income tax brackets should annually be adjusted for inflation, and a lack of full adjustment is an easy way to collect additional tax without too much complaint. Increases "by stealth" could also be found in excise taxes on alcohol or cigarettes, or in expanding the taxes on other perceived sins (for instance luxury items and sugar). So-called "moral" taxes provide a certain level of political safety when seeking more revenue, said Engel. As for carbon tax, he said implementation is still pending. He does not believe government can expect revenue from that source any time soon, as the administrative apparatus will simply take too long given the complexity of the tax. Engel does not believe there will be a cut-back on any tax incentives, since government is still in the process of reviewing this area. The president has also expressed a desire to stimulate manufacturing through incentives in his 2018 budget. Government may want to close loopholes in multinational company earnings. However, these increases must come through SARS audit rather than legislation. SA has premium transfer pricing legislation at this point - the only question remaining is enforcement. "Most likely government is counting on the SA Revenue Service (SARS) for revenue increases - in other words, via enforcement - since legislative options to try and broaden the tax base have by now been tapped out," said Engel. Regarding small and medium size enterprises (SMEs), Engel believes Budget 2019 might aim at those avoiding paying taxes - that is, targeting wholesale evaders. However, a few business incentives may be introduced, for instance on savings – to try to stimulate economic growth. Tax could also be tightened on employee/individual perks where possible. The Department of Health has long objected to the medical aid credit, so some cuts are possible in this area, especially lack of inflationary increases. Engel does not anticipate government or Cabinet cuts as a cost-saving measure. There may be an approach of "redeployment" in areas where there are inefficiencies. 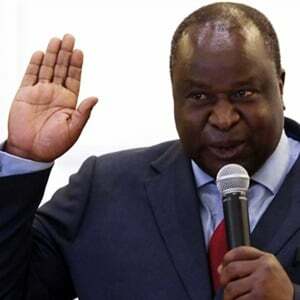 Any Cabinet reshuffles are only likely post-elections, he predicted. "They are hoping against hope. They are not willing to shrink the size of government and that is the problem…The more you hire public servants now, the more you kill growth. They would have to put a freeze on hiring," he said. In his view, the biggest problem facing SA's national budget, however, is repayment of national debts. "I don't know how sustainable it is to keep pushing out government expenditure. They keep pushing the problem out, saying they will solve it 'next year'," said Engel. He also flagged state-owned enterprises as an ongoing problem. "SOEs seem to be a never-ending story. "Changes in management will not be enough. Removal of corruption and management inefficiencies will only get the government so far. A drastic cut-back or partial privatisation is inevitable."